What is literature? Why do we read it? How do we interpret it? Who has the authority to interpret it? What practical tools and skills are required for the interpretation of literature? How do we evaluate conflicting interpretations? How do we bring our own interpretations into dialogue with those of others? How do contingent matters such as gender, race, class, and historical context affect the ways we interpret literature? How do we maintain contact with the significant scholarly conversations relevant for reading particular kinds of literature? And how does one learn to communicate clearly and cogently concerning these matters? These questions and the various ways the discipline of English literature has responded to them are the subjects of Signum’s Introduction to Theory, Research and Writing course. 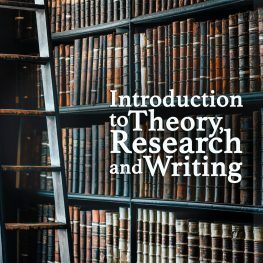 Beginning with the most basic matters of writing, evaluation of evidence, and essay structure, this course is designed to introduce students to: the MLA citation style; standard bibliographic and research practices; the “theoretical turn” of the later twentieth century; and possible scholarly directions in the twenty-first century “post-theoretical” state of the discipline. Structurally, the course is oriented around lecture material featuring introductions to weekly topics from a variety of scholars, not only giving students access to presenters uniquely qualified to introduce their particular fields, but also giving them experience with a number of different lecture formats and scholarly approaches. Following up on these recorded lectures, preceptors provide the more hands-on content of the course, including direction in assignments, discussion of citation and research, and application of theoretical paradigms to literary texts. Through these means, students by the end of the course will be well-equipped with the mechanical, theoretical, and bibliographic tools necessary for both an informed scholarly approach to their own research interests and entry into broader scholarly discourse in the field of English literature. This course is required of all M.A. students and should be taken within the first four courses of enrollment. Students should take at least one other class for credit at Signum prior to this course. This course will typically be held every Spring semester. Visit the Future Courses page to see when this class will be offered next. There will be one 90-minute lectures and two 60-minute preceptor sessions per week as assigned. Clare Connors, Literary Theory: A Beginner’s Guide (Oneworld Publications, 2010). Wayne Booth et. al., The Craft of Research, 4th ed. MLA Handbook. 8th ed. The Modern Language Association of America, 2016. Terry Eagleton, Literary Theory: An Introduction, 3rd ed. Richter, David, ed. The Critical Tradition, 3rd ed. Boston: Bedford-St. Martin’s, 2006 (or 1998 2nd ed. ).